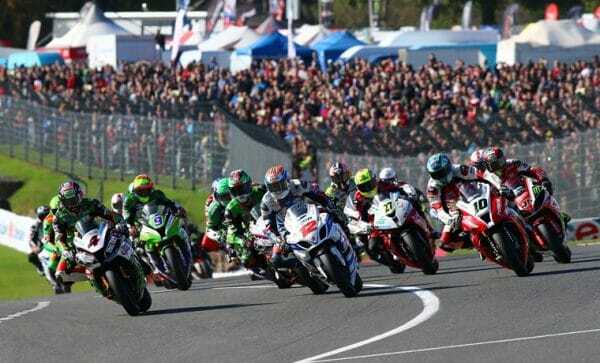 The MCE Insurance British Superbike Championship, or BSB, is one of the most exciting racing championships in the world. With BSB bikes topping speeds of 200 miles per hour, swerving around turns, and surpassing the lap times of a British touring car by six seconds, BSB is a superb sport to watch! 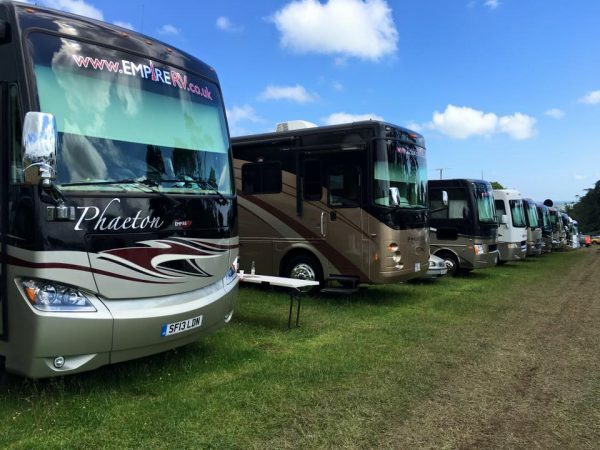 If you’re heading to any of the UK rounds of the British Superbike Championship then why not opt for comfort, style and convenience thanks to our RVs! When the on-track excitement is over for the day you can soak up the party atmosphere and the shared love of bikes with your fellow BSB fans. But unlike others who will have to trek back to their hotel or spend the night in a tent, you can get the best of both worlds with the luxury and convenience of an American Motorhome from our fleet. When you rent one of our motorhomes your vehicle will be ready and waiting with a parking spot right next to it. Our all-inclusive service includes 24-hour support throughout your stay, with your very own Winnebago or American RV provided with bed linen, towels, kitchen equipment, TV/DVD systems, and all you need for a weekend living like your favourite BSB superbike hero! Click here for more information or to buy BSB Championship tickets. The MCE British Superbike Championship is Britain’s biggest motorsport series and boasts an international fan base that follows the races, the bikes and the riders all over the UK for each of the 12 rounds. Although one of the rounds takes place in fact at the TT Circuit Assen, in the Netherlands, which is popularly referred to as “The Cathedral” of motorcycling by the fans. This incredibly dramatic motorbike Championship event wouldn’t be what it is today without a strict set of regulations, rules, and safety precautions. To ensure all riders are evenly matched the BSB utilizes the Pirelli control tier along with regulating strict guidelines for participation in the races. With a 32 race season-long matchup and an impressive six manufacturer participation, each season’s Superbike Championship promises drama, unpredictable results, and an amazing sporting event to watch. But what exactly is a BSB motorbike? BSB motorbikes, at first glance, do not differ too much from the sports bikes you see on the road. Regulations require that the bikes used to race, look the same as their street control counterpart from the front, back, and both sides. No body modifications are allowed so the main differences you’ll find will be on the technical side of things. So the superbikes are quick and powerful while maintaining their sleek street style. The bikes racing in this series run up to 1,000 ccs and upwards of 2,000 bhp, all while staying within BSB’s strict technical guidelines. To allow more top performers from the private sector, BSB has designed a new less intimidating and less costly technical regulation process, enabling more athletes to compete and, of course, more excitement! Bike manufacturers from all over the world attempt to work their way into the elite line up of bikes performing in the MCE British Superbike Championship, with Honda, Suzuki, Ducati, Kawasaki, Yamaha, and BMW all current BSB Championship manufacturers. The action begins at Silverstone BP in April where you’re guaranteed an impressive array of incredible speed, awesome bikes, and determined riders. The competition then moves to Oulton Park late April before things really heat up in May for the Brands Hatch Indy and Knockhill in June. Round five of the BSB will include speed and dramatic racing at Snetterton in July and continue into Round six at Thruxton in late July. August heats up with rounds seven and eight of the intense competition at Brands Hatch and Cadwell Park. September is sure to be a month to watch with Oulton and Donington Park both hosting BSB’s rounds nine and ten of the competition but don’t miss the ever growing season finale when the BSB contestants race in rounds eleven and twelve at TT Circuit Assen and back to the fantastic track at Brands Hatch. So whether you are a fan of bikes, racing, or just the drama of real competition, the MCE Insurance British Superbike Competition is something you can easily get hooked on!